Retreat yourself to not only take a break from your daily routines, but to truly get in touch. Dianas programs are designed for you to take a real step towards your innate potential. In breathtaking nature and the community of likeminded friends, you will find the space to explore and transform the relationship of body, mind and soul. Ancient Yogic and Ayurvedic wisdom, as well as juicy contemporary approaches will guide you to clarity, encouragement and a new outlook on life. You will take home useful tools to nurture your being on all levels and to expand your perspective from the heart. Diana and her team are welcoming you to the most loving environment in handpicked locations. We love to hold space for you. THE JOURNEY YOU HAVE BEEN WAITING FOR ! Envision your Year to come! Diana is inviting you to this transformational retreat dedicated to re-align your being on all levels. Leave old bombast behind and open the gateways of your deeper wishes for the New You to become at the magical island of the Gods. 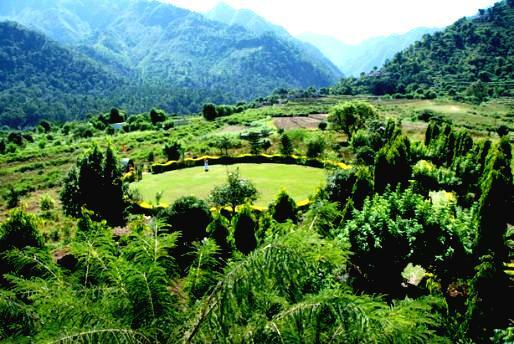 — immerse yourself into the ancient wisdom of Yoga, Ayurveda and Tantra in a stunning setting of amazing lush nature, fresh health food, unraveling and inspiring Yoga, Breathwork, Exploration & Meditation and soothing bodywork and massages, what else can you wish for? "Thank you Diana for one of the most memorable journeys of my life. 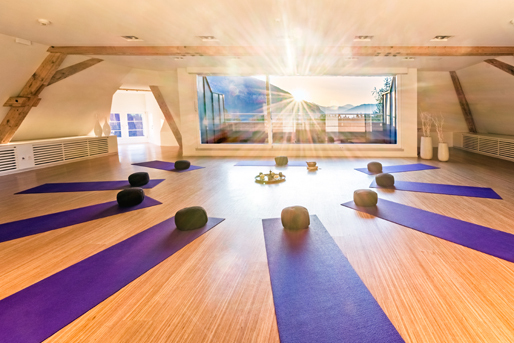 I attended your class in Zurich about a month after our return from our Yoga-Retreat. At the end of the class tears were in my eyes - tears from very special memories of a deep immersion into the Self in an absolutely amazing setting. Away from our daily routines we could breathe and practice in nature. We had the opportunity to meet the most beautiful people on their unique journeys, while being able to enjoy the peace and calm of these inimitable experiences. It thoroughly changed my outlook on life and I will never be the same." When you travel with strangers, you wonder who you will share your space with. In Dianas Retreat I found friends that opened a new chapter in my life. I was looking for a retreat. Really a true retreat into my thoughts, into the writings of yoga. I was looking for a place where I would find nothing but calm. I didn’t find this. Instead I found a place that filled me with compassion, kindness, empathy, happiness, laughter, joy, optimism. These are the impressions of my stay. Not one minute was empty, but at the same time I found so much time to relax and replenish. A short walk to the river, sitting on my balcony reading, morning meditation on the shala roof. Authentic describes the place, the people, the experience. Inspirational describes the journey. Nourishing describes the bond we created. 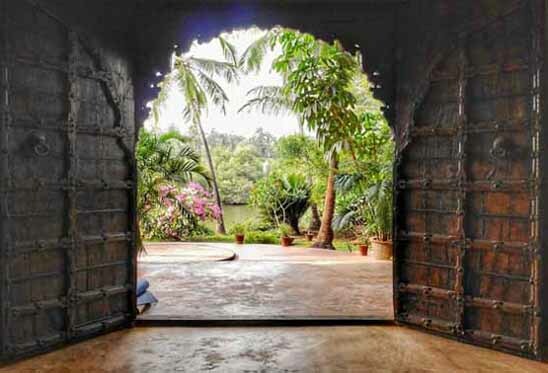 Diana invited us to her spiritual home away from home and her retreat is for those looking to find the heart of yoga. To explore deeper into the roots of yoga and expand your practice beyond the asana. A seed was planted on my first visit to sacred Shivaland. I know I will travel back to open the second chapter of my journey. "Diana is someone precious to meet on the path and study under. My first experience was being led by her beautiful voice in Savasana and I discovered right there that she has a special way of guiding people inside that is both powerful and sweet. I love how she is dedicated to sharing the inner practices of yoga, like pranayama, mantra and meditation and initiating people into a deeper more subtle level of practice. She is definitely a teacher one should seek if they’re looking for something beyond asana in their yoga. She herself has been dedicated to her own practices and masters for a long time and is always seeking to deepen her connection to Self. As her peer, it’s beautiful to see how she unfurls the full spectrum of her talents to share freely her heart and knowledge with her students and give them a deeper experience of themselves."